You will also need a compatible contactless smartcard reader that has an internal SAM slot available. 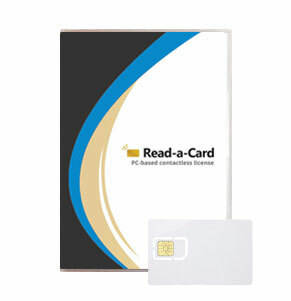 Depending on the make and model of reader used, Read-a-Card can identify, read and decode many popular card technologies, including MIFARE Ultralight, MIFARE Classic, DESFire, iClass and/or HID Prox card numbers. Note � this Read-a-Card SAM license is most suitable if you want the flexibility to move your reader(s) and/or software from one PC to another. Works with any compatible contactless reader with a built-in SAM slot, which should be fitted with the supplied license SAM, and which must be present when Read-a-Card is in use.